EDM Festival Powerpack is a 1.08GB collection of super-charged beats and mainstage melodics primed for the summer festival circuit. Over 395+ 24-bit wav loops of anthem proof content channeling the massive mainroom sound of artists like Calvin Harris, Don Diablo, W&W, R3hab and Martin Garrix. 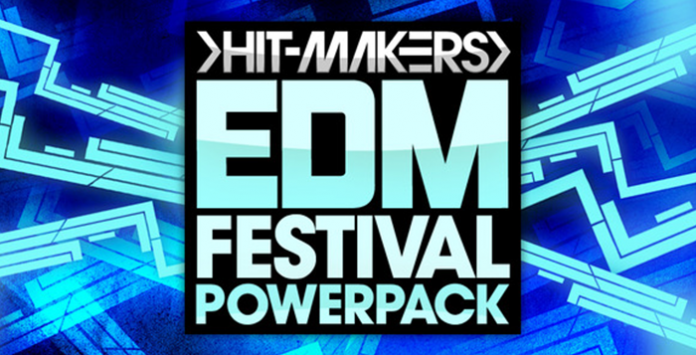 The EDM Festival Powerpack is the only thing you will need to make it big this summer. Included are a comprehensive plug’n’play combination of 10 full-track construction kits split into key and tempo labelled elements of pumping hard-style bass, soaringly epic synths and stemmed down beats complete with full, partial and side-chained variants. All the kits come complete with MIDI options for use with one of our 26 macro-capable synth patches for spire and sylenth1 as well as your own outboard or software solutions. 115+ rig-shaking floor focused drum loops are guaranteed to rock the room with stripped, top, ride and full variants for maximum beat production capabilities. Love the sounds but want to incorporate your own rhythms? 90+ finely compressed and expertly mixed claps, hats, kicks snares and perc drum hits can be used as building blocks in your DAW or within a sampler of your choice. Rounding off the transitions and guaranteeing hands in the air are 25+ impact and tempo-synced build-up effects primed for placement within your very own festival banger.